Warsaw, the capital of Poland and its largest city, extending along the Vistula River in the plains of Mazovia. Founded at the end of the thirteenth century as a castle and residence of the Dukes of Masovia, at the beginning of the fifteenth century, the city had expanded outside the original medieval wall enclosing the Old City, so it was founded – outside the walls – the New Town. 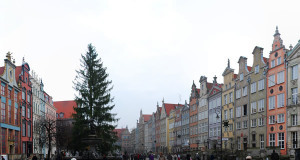 At the end of the sixteenth century the city became the capital of Poland in place of Krakow. During the Second World War, Warsaw was almost completely destroyed. The city was lovingly rebuilt by Poles, and today provides beautiful, historic areas such as the Old Town (Stare Miasto). This part of the city is made up of medieval streets and its center is formed by the beautiful Market Square (Rynek Starego Miasta). On this square there are some interesting buildings, another place to visit is the Castle Square (Plac Zamkowy), where is the Royal Castle (Zamek Królewski).To visit the Royal route that goes from the Royal Castle to the Park Lazienski. The Old Town of Warsaw is part of a World Heritage Site by UNESCO. In Warsaw there are also too many tell-style apartment blocks built during the past communist regime. 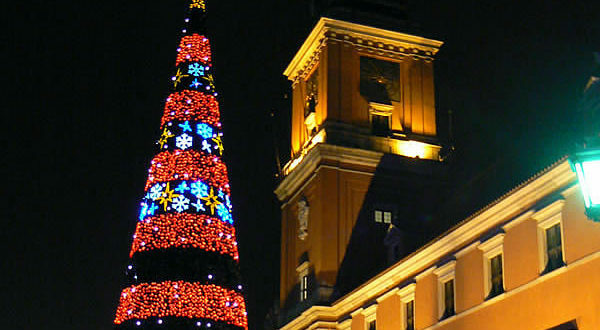 Christmas market in Warsaw (Jarmark Bożonarodzeniowy Warszawa). 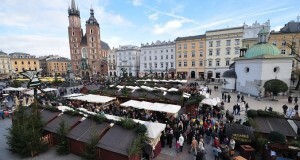 1) Warsaw Christmas Market (Jarmark Świąteczny Warszawa). The market takes place in the center of the Polish capital, at the most prestigious commercial gallery in Poland (CH- Arkadia), next to the Central Station and close to the Palace of Culture and Science. The market will consist of 28 wooden chalets located in front of the Złote Tarasy gallery. 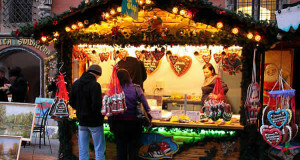 The fair will have a beautiful Christmas decoration based on the decorations of the German Christmas markets. Apertura: 6 December – 21 December 2018. 2) Christmas Market in Barbakan (Jarmark Bożonarodzeniowy na Barbakanie). This market is set up in the area of the Barbican (Barbakan), a defensive structure of the sixteenth century that was in defense of the Old Town (Stare Miasto). The market is located within the walls of Warsaw near the ul. Podwale close to the Rynek Starego Miasta, the charming old market square of Warsaw. The market is made up of about 60 wooden chalets. Opening: 24 November 2018 – 6 January 2019.